značka VýrobceAquamid s.r.o.AskinoBEAPHARBio-Allvia s.r.o.BiofarmabBIOVETA IVANOVICE NA HANEBoehringer Ingelheim Vetmedica GmbHBrit Care Vafo Praha s.r.o.CandioliCanina Pharma GmbHCanina pharma GmbH CZCanvit s.r.o.Canvit s.r.o. 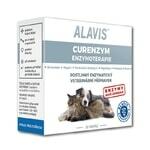 NEWCEVA ANIMAL HEALTH Slovakia, s.r.o.CHr. Hansen Czech Republic, s.r.o.Cipla LimitedDarwin's pet s.r.o.DiafarmDING WALL Trading, spol.s.r.o.Essential FoodsEurocat s.r.o.Ew NutritionFARMER s.p.a.FARNAM Companies, Inc.FIANTIS, SEFinnernGimborn Česká republika, s.r.o.Harmonium Interntional INCHenry ScheinINCAN nutrition s.r.o.International Probiotic Company s.r.o.Iv San BernardJUWITAL s.r.o.Ketris s.r.o.Laboratorios CalierMark-ChappellMikrop ČEBÍN a.s.Nederma BVORION Pharma Animal HealthPharma UnitedPHARMAGAL s.r.o.Protexin veterinaryRICHTER (RICHTER PHARMA)Rosen Pharma a.s.SUPREME Petfoods LtdTRM - Thoroughbred Remedies ManufacturinTrouw Nutrition BiofaktoryUNIVIT s.r.o.VétoquinolVEYXVitakraftWERFFT CHEMIEWild Herbs s.r.o. divoké bylinyXiamen Fine Chemical CO LTDZEUS servis s.r.o.